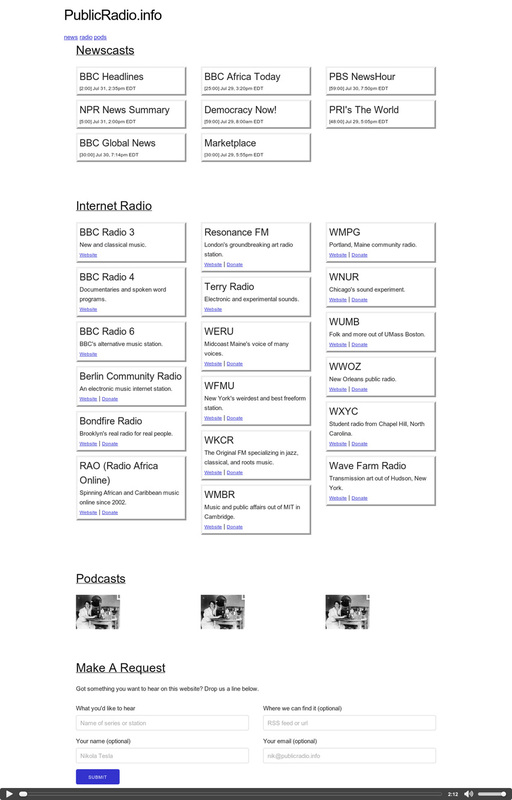 A: The idea was to make a basic public-interest audio website, and so we thought it should be super functional - but resistant to branding and ornament. A: I grabbed the url and came up with the basic list idea, but the current iteration's CSS is all thanks to Liz Lovero (github= lizlove). A: Alex Silva (ags2121) is the head programmer; he has done all the back-end stuff and made sure things overall have been running smoothly.